Review: Top 5 reasons why you should visit the newly opened 212 All Day Cafe & Bar at Marketcity Kurla. We absolutely adore new beginnings! And if the beginning revolves around a new restaurant launch, our taste buds sing out so loud that we may put an opera singer to shame. 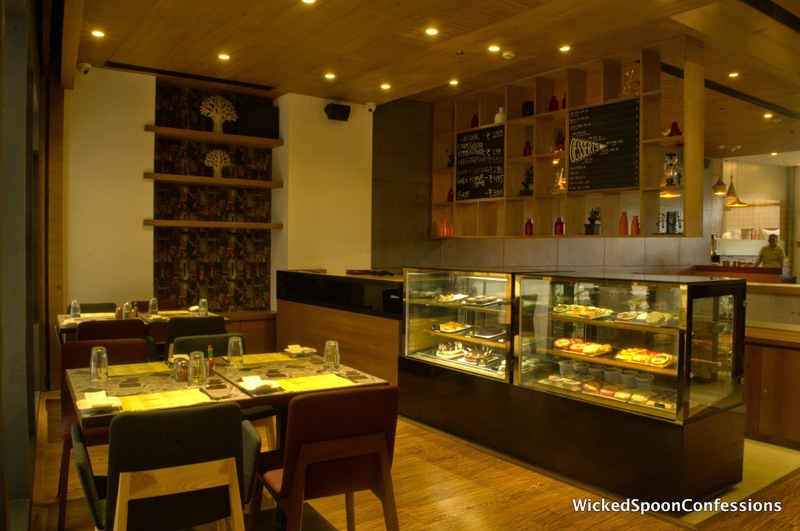 So, armed with curiosity, wicked spoon confessions reached the buzzing launch of 212 All Day Cafe & Bar at Phoenix Market City Kurla. The journey was not that smooth. We dragged a reluctant sobo (much used slang for south Mumbai) friend, hitched a ride in a share rickshaw (the three-tiered miracle vehicle that we “Mumbaiyas” swear by), dared the busy and narrow Kurla lanes and broke a heel. We stepped in to the mall and murmured a silent prayer. Before us spread over the huge property of Phoenix Market City Kurla were shoe shops that would make Carrie Bradshaw smile. So how did the evening unfold from here? Well Wicked Spoon Confessions would love to tell you more…. The Seating- We loved that one could choose between a mix of cozy tables for twos and fours, comfortable booths or elevated community style tables. We chose a well laid out table for two that was not cramped up and had enough space for a comfortable dining experience. Also try out the lovely al fresco seating that overlooks the courtyard, we all love the great outdoors, don't we? Pick a table as per your need! The Menu- Chef Paul Kinny's delectable creations at 212 include fresh salads, pizzas, hand crafted burgers and sandwiches, desserts and gourmet entrees that encourage patrons to enjoy an easy-going dining experience. The well stocked bar boasts of a selection of premium spirits, wines, beers and exciting cocktails. Cocktails blur your mind? Enjoy a coffee instead J we enjoyed onion rings ( crisp and beer batter fried), Asian salad ( a healthy salad with honey chili dressing), thin crust chicken barbecue pizza (nice and crunchy till the end), Spaghetti bolognese (lacked the flavour of ripened tomatoes) and Fusilli al pesto ( a nice entree with parmesan cheese sauce) and loved it except for the Spaghetti bolognese. The cheesecake we tried was nice but the creme brulee is what made our day! Asian Salad- a healthy choice. The flat bread thin crust barbecue chicken pizza! All Day Dining- If like us you always miss-read “Hunger Games” as “Hungry Games” or your whatsapp status is “Always Hungry” all day dining is the answer. Open all day, 212 will satiate your taste buds any time of the day. How many times have we been disappointed that our favorite place would open only late in the evening or downs its shutters just after lunch? Now no more waiting for the clock to strike “Meal-o'clock”. The chic interiors: 212 is an upscale deli with unpretentious interiors. 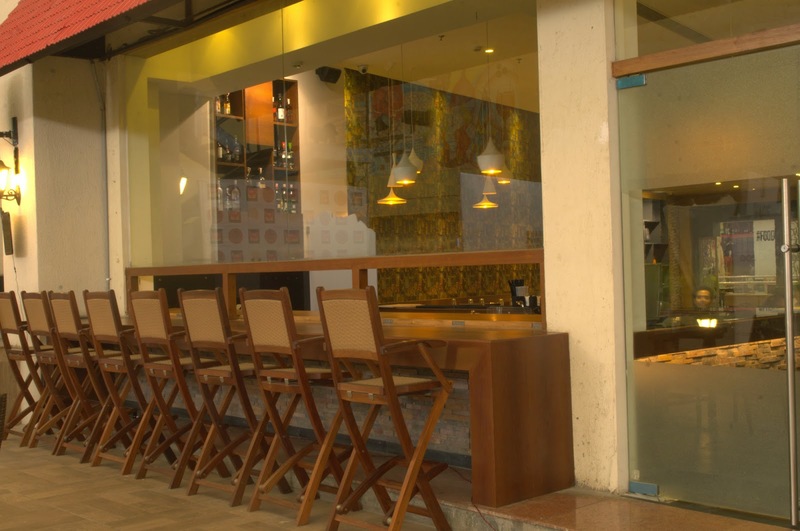 Wooden chairs, lively and colorful graffiti on walls, warm lights, boards announcing the days specials, a bar and a live pizza theatre all add to its warm and welcoming vibe. There is a ‘Deli’ zone too, so pick up a gourmet gift for a loved one and earn brownie points. Open from- 11.30 am till 11.30 pm.